This Association was formed in 1970 by Dr. Reg Barrett and Rev. 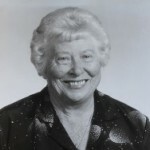 Dr. June Jones, who were the autonomous leaders of the Association in Johannesburg and Port Elizabeth respectively. The Foundation was formed so that we could teach people to live a more dynamic life and obtain, through thought, prayer and action, peace of mind. Creative Thought covers all fields of philosophy and embraces all religions. By using the power of the mind, man uncovers his talents and realises his great importance in fulfilling God’s desire for him. We affirm our relationship to a God of universal wisdom and love, who manifests through us as our health, happiness and prosperity. We believe that by teaching Truth man will become aware of his potential and God-like qualities and we dedicate ourselves to the unfoldment of this Truth within each individual.